People around the world reacted with a mix of horror and anticipation when President Donald Trump announced that he’d be traveling to Saudi Arabia and giving a speech on Islam. His history of anti-Muslim comments and disparaging remarks about Saudi Arabia over the years led most to believe the speech would be a disaster. 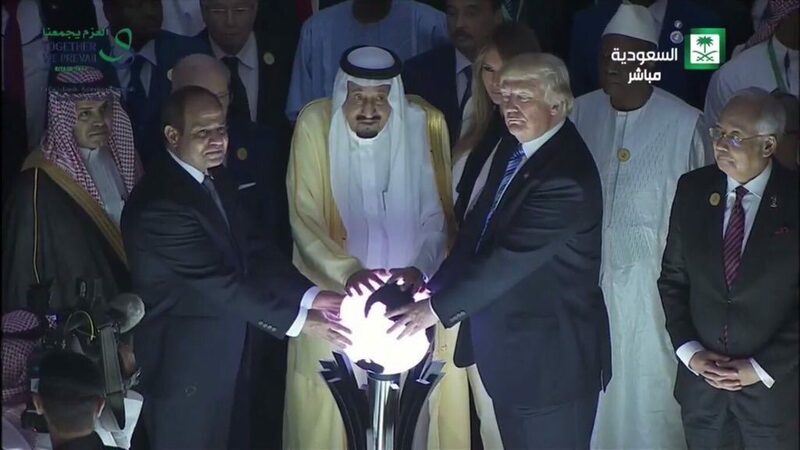 Trump’s trip is now over, but it was filled with memorable incidents, like the now infamous orb photo (below). The Islamic Monthly spoke with several experts regarding Trump’s speech, and compiled their answers here. 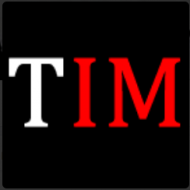 Take a look and see what the experts have to say. Alex Shams: Nay. A day after signing a $110 billion arms deal with Saudi Arabia — an authoritarian regime that has been bombing Yemen for the last two years in a war that has cost 10,000 civilian lives and [has] led [to] the poorest nation in the Arab World facing mass starvation — Trump has the audacity to think he can lecture the Muslim world on what it should do about terrorism. One good start would be to not stand behind the region’s biggest exporter of Wahhabi ideology, Saudi Arabia, and to confront the Kingdom for its role in spreading an intolerant, hateful interpretation of Islam worldwide. But the crux of the problem is that Trump refuses, yet again, to understand the source of the problem. Terrorism is not a “Muslim problem.” It is a result of political, economic and historical events in recent decades that have fostered a climate of despair and intolerance. (This is also why, in the past, terrorism has been used as a political strategy by many other actors, most of [whom] were non-Muslim.) Trump positions terrorism as a “Muslim problem,” conveniently forgetting that terrorism, instability and mass violence on the scale we see today in Iraq, Syria and many other regions was extremely uncommon before 2003, when the United States invaded Iraq. Trump argues that “the nations of the Middle East cannot wait for American power to crush this enemy for them” — somehow forgetting that this enemy grew through decades of joint Saudi-U.S. patronage and exploded onto the scene as a result of the illegal U.S. invasion of Iraq — which no one has been held accountable for until now. Muqtedar Khan: Nay. It does not solve anything, rather it reinforces the sectarian divide in the region. Dalia Mogahed: Yay. It was a welcomed 180 on everything he’s claimed regarding Islam for the past two years but waiting for corrective actions to follow corrective words. Salaam Bhatti: Yay. We appreciate the president on wanting peace and acknowledging that Muslims are 95% of the victims of terrorism. But the underlying challenge of the summit is the $350 billion arms deal because the arms trade results in more fighting, wars and extremism. Michael Muhammad Knight: Nay. But if nothing else, it left Trump and the Saudis ideologically naked. Pure cronyism. Haroon Moghul: You can’t fight extremism without fighting the ideological and political foundations of extremism. His speech was important, but incomplete. Sahar Aziz: Nay. Trump went to Saudi Arabia as a merchant peddling American military goods, not as a peacemaker. Thus, if you assess the speech based on his stated goals of promoting peace and tolerance in the Middle East, his actions will produce just the opposite and lead to more deaths of Muslims and Arabs throughout the region. Farid Senzai: Nay. While on the face of it, the speech may have sounded good, the reality is that there were so many fundamental problems with the message that he conveyed. It is devoid of context and will likely intensify the broader sectarian tensions in the region. Plus it is unlikely to actually have much of an impact on fighting on our effort to fighting extremism. Alex Shams: This speech is a major setback. As long as Americans fail to understand that terrorism — and other forms of political violence — are reactions to historical and political events, they will fail to grasp the crux of the issue. Repression breeds anger and hatred. Governments like Saudi Arabia and Egypt — which repress democracy and dissent in the name of combating terrorism — are in the long turn responsible for radicalization. This is partially why Trump’s decision to list Hamas and Hezbollah alongside al-Qaida and ISIS as terror groups is so nonsensical. “Terrorism” is a label for a type of violence; it is not a category of political actors. 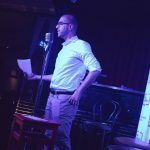 Putting national liberation groups like Hamas and Hezbollah — groups that formed in response to Israeli violence and settler colonialism against Lebanon and Palestine respectively — in the same category as ISIS makes the term “terrorism” meaningless. And it obscures the fact that “terrorists” are political actors responding to events around them. Hezbollah emerged in Lebanon in 1982 in response to Israel’s invasion of that country. Hamas emerged a few years later in response to four decades of Israeli colonialism across historic Palestine and two decades of military rule over the West Bank and Gaza. You can’t understand each of these groups without understanding their histories. And if you’re going to try to go after ISIS, you have to understand that it’s a product of the instability following the U.S. invasion of Iraq. Is it any surprise that U.S. violence across the region has bred resentment, anger, and, yes, terrorism? Did anyone seriously expect after decades of U.S. sanctions, bombs and invasion followed by military occupation, that Iraq would miraculously emerge unharmed and prosperous? It is preposterous that Americans like Trump seem unable to remember even the basic facts of their own recent history — facts that no one else in the region has forgotten. Muqtedar Khan: It can be good if his new view of Islam holds good and bigoted comments and policies such as the Muslim ban are abandoned. Dalia Mogahed: Good in that it walks back dangerous false claims Trump and his advisers have made regarding Islam and Muslims being prone to violence. Salaam Bhatti: Good, if his supporters realize that Muslim Americans are good people and that, contrary to President Trump’s earlier remarks, that Islam [does not hate] America. Michael Muhammad Knight: No difference. Haroon Moghul: Good and bad. Good because he finally challenged the myths and stereotypes he himself peddled. But bad because his strategy won’t actually keep us safe from extremist violence. Sahar Aziz: Setback. Trump’s political and military support of Arab authoritarians produces more state violence against citizens, which in turn helps terrorist groups recruit. And because American Muslims are collectively guilty of terrorism committed by Muslim individuals abroad and at home, the predictable increase in terrorism will only heighten the guilt imposed on American Muslims without regard for their individual innocence. Alex Shams: No. It will be counterproductive. As long as his solution is bombs, bombs and more bombs — along with selling bombs to repressive countries like Saudi Arabia, Israel and Egypt — Trump’s plans to obliterate ISIS will fail and it will alienate more people in the long term. It’s important to note that, in terms of military strategy, the Iraqi military — with Iranian support — has been among the most successful actors in rooting out ISIS. And yet Trump spent a large portion of his speech attacking Iran, apparently unable to comprehend the fact that it was in fact his Saudi hosts who have long incubated and tacitly supported ISIS ideology. Muqtedar Khan: No. ISIS is al-Qaida 2.0. If it is destroyed without addressing the root causes, you will see the emergence of al-Qaida 3.0. 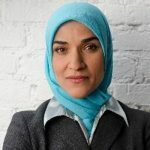 Dalia Mogahed: Not likely since he did not address the root causes of terrorism, namely the arms industry that fuels their violence and the foreign and domestic policies of many of the leaders in that room — including him. Michael Muhammad Knight: Yes. I don’t know what it will be, but I’m confident that at some point he’ll launch a war simply to preserve himself in office. 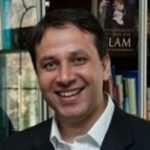 Haroon Moghul: Probably not as much we think–anyhow, he seemed more focused on Iran than on ISIS, and while I don’t believe Iran’s role in the region is positive, we need to define priorities. 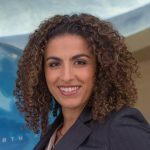 Sahar Aziz: No. ISIS cannot be obliterated through military means and bolstering dictatorship. Trump’s strategy, if he has one, will only protract the sectarian conflict between the Arab Sunni states and Iran to which ISIS is a primary beneficiary. Farid Senzai: No. Not likely. Alex Shams: It was worse. But the bar was already very low. Muqtedar Khan: Both Presidents [Barack] Obama and [George W.] Bush were better. But this Trump speech was not as bad as I expected. Dalia Mogahed: Certainly better than Trump’s past rhetoric but did not come close to Obama’s Cairo masterpiece. Salaam Bhatti: Better than his usual speeches. He need to support proven models for peace in America, like the TrueIslam.com education campaign. Michael Muhammad Knight: Status quo. He makes no remarkable departures here. He seems to be easily repeating the same state vision of Islam as Obama and Bush. Haroon Moghul: For his exclusion of American Muslims, worse. Obama went to Cairo and at least talked about the place of American Muslims in American society and history. Bush condemned Islamophobia, and Trump did not. Definitely worse. Sahar Aziz: Worse. Nowhere in Trump’s speech did he mention how political repression and human rights violations contributed to terrorism and a sense of hopelessness among the region’s youth. As an American businessman, he knows better than to pretend that economic prosperity can occur without political reforms that grant individuals more freedom to think, create, and produce. Alex Shams: Less. If anyone was uncertain about American hypocrisy in the Middle East until now, the specter of Donald Trump joining arms with some of the region’s most repressive dictators to condemn “terrorism” a day after announcing a massive arms deal should put any doubts to rest. Muqtedar Khan: No. This speech will do nothing, but $110 billion dollars worth of additional weapons will only mean more war, death and destruction in the region. Dalia Mogahed: The speech will likely have exactly no impact, but the $400 billion arms deal will definitely create less stability. Salaam Bhatti: Less. The actions surrounding the speech, namely the arms trade, will result in less stability. The entire Muslim Ummah must unite as one and makes efforts towards peace not through extraneous factors but through internal reformation. Haroon Moghul: Less. Pouring gasoline on a sectarian fire. Sahar Aziz: Less stability. When Trump sold Saudi Arabia $110 billion of military arms, he added fuel to the conflict devastating Yemen, Syria, and Iraq. A conflict that could soon spread to other countries in the region, resulting in less stability and more state and non-state sponsored violence. Alex Shams: Unfair. The Iranian people voted earlier this week in a landslide vote to re-elect President Rouhani, a man who has spent years reaching out to the world and engaging in dialogue, as evidenced in the nuclear deal he was able to sign to end years of tensions with the United States. In contrast, U.S. ally Israel has repeatedly elected right-wing extremist governments that further the colonization of Palestine and growing anti-Arab racism in Israel. Saudi Arabia, meanwhile, barely even has elections, much less meaningful ones. Iran has been holding out its hand in the hope of peace with the world for years now; Trump’s words are a slap in the face. Trump’s demand to isolate Iran at this crucial juncture is extremely dangerous and counterproductive, and highlights the hypocrisy of his rhetoric. If Trump wants to support democracy and moderation, what better way to show it than to acknowledge the millions of Iranian who have put their faith in dialogue and democracy? Muqtedar Khan: Unfair. Iran is not the only sources of non-state violence or instability in the region. Absence of democracy, autocratic rulers, intolerant preachers, are also equally culpable for the state of the region. Dalia Mogahed: Fair, but many in the room deserve the same criticism, including the one dishing it out. Salaam Bhatti: Criticism aside, we should focus on justice on every level and pray for peace. Michael Muhammad Knight: Unfair. Al-Qaida, the Taliban and ISIS are all cousins of the official Saudi state ideology. It was supremely ironic for Trump to hold hands with the Saudis and blame a Shi’i state for Sunni revivalist violence. Haroon Moghul: Iran and its allies have killed far more people than even ISIS. But that doesn’t mean Saudi Arabia’s war on Yemen is justified. So ultimately the approach is unfair, because it’s too one-sided. Sahar Aziz: Unfair. Few countries in the Middle East have clean hands (including Iran) with regard to the war decimating Syria, Yemen, and parts of Iraq. To place the blame of the bloodshed entirely on Iran is not based on the facts, but rather Trump’s aim to please his Arab Sunni arms purchasers and America’s major ally in the region – Israel. The U.S. lost an opportunity to be a neutral arbiter to a regional conflict that must be resolved diplomatically for violence to cease in the region. 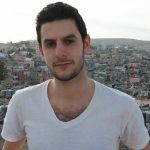 Alex Shams: Iranian-American writer and Ph.D. student of anthropology at the University of Chicago. Previously based in Palestine. 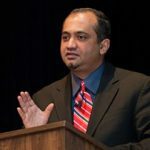 Muqtedar Khan: Professor in the department of political science and international relations at the University of Delaware. 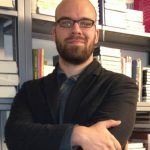 He is a senior fellow at the Center for Global Policy. His website is www.ijtihad.org and he tweets at @MuqtedarKhan. Dalia Mogahed: Director of research at the Institute for Social Policy and Understanding. Co-author of Who Speaks Islam? 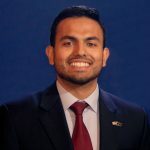 Salaam Bhatti: National spokesperson for the Ahmadiyya Muslim Community USA. Michael Muhammad Knight: Assistant professor in religion and cultural studies at the University of Central Florida, and the author of 11 books. His 12th book, an introduction to the Prophet, is forthcoming. Haroon Moghul: Builds Muslim-Jewish engagement at the Shalom Hartman Institute. He’s written for the Washington Post, the Guardian, Time, Foreign Policy, Haaretz, and CNN. 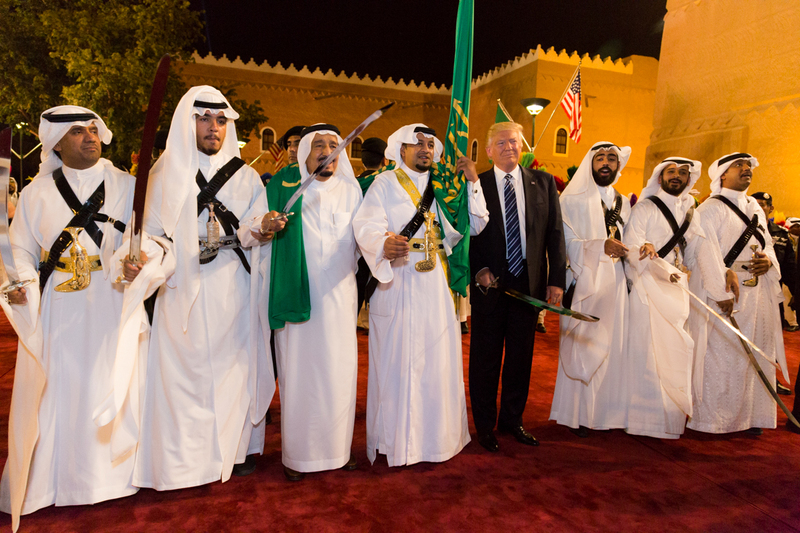 Image: President Donald Trump poses for photos with ceremonial swordsmen on his arrival to Murabba Palace, as the guest of King Salman bin Abdulaziz Al Saud of Saudi Arabia. Flickr/Ninian Reid.